This entry was posted on Friday, August 5th, 2011 at 05:15 and is filed under Barack Obama, Economics, Politics. After the Dow Jones Industrial Average and other indexes tumbled sharply on Wednesday, it has become clear that while the markets had been worried about the outcome of the debt ceiling negotiations, rather than fearing sharp cuts or a protracted crisis, we now know with more certainty that the market feared most was that President Obama and Congress would do little more than to make cosmetic changes to the federal fiscal situation. The worst fears of the market have now been realized, and what you need you to know is that from the executive end of Pennsylvania Avenue, this is precisely what they have been seeking. “Let me be clear”: President Obama is committed, on principle, to destroying private wealth wherever he finds it. If you wonder about the nature of the market, and why he would seek to destroy it, understand that one of the largest and most widely-diversified classes of investors are retirement funds and similar, that seek to place savers’ wealth in multiple baskets. Over the last two decades, the number of average citizens who have placed their money at risk in the markets has sky-rocketed, seeking higher returns for their futures. This represents, along with their homes, the bulk of private wealth held by average citizens. 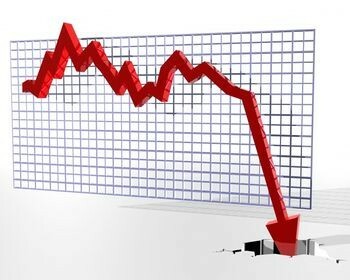 With the housing market in free-fall, and the value of their largest investment falling daily, the simple fact is that Barack Obama, and the policies he and his fellow Democrats support have been key to relieving the American people of more wealth than at any other time in the history of the country. The losses in the markets on Wednesday represent $800 billion in destroyed wealth. This realization is what has the market spooked. When you combine this with their realization that the only thing that’s been supporting the market over the last two years has been an infusion of cash printed by the Federal Reserve, the die is cast, and you are now witnessing the result. QE3, anyone? That and some other outrageous stimulus package are almost certainly being considered, as the socialists and Keynesians in the Obama administration scramble for ways to prop this all up ahead of any elections, next year. The real problem, at present, is that the general economy is now fully in free-fall, pushed over the edge by Obama’s endless “spreading around” of wealth just as he told Joe the Plumber he would. The meme of the day has been that much of the slide was due to outlooks in Europe, but the truth is that we’re the biggest player, and as we go, so the Europeans will go, and our slide will merely serve to accelerate theirs. Whatever they may claim, all you need know is that the Budget Control Act signed by Obama is the catalyst to this slide, and the broader slide we’re witnessing globally. Now you can see the first results. As I explained in an earlier article, this is all constructed in a manner so as to redistribute your wealth. Even the willful destruction of your currency is being undertaken for this reason. The market now sees the first glimpse of what is coming, and Wednesday’s dramatic market events are likely just the beginning. The GDP reports are terrible. The unemployment numbers are horrendous. The dollar remains weak, and is getting weaker, as real inflation is already knocking around 10%. The market’s been propped up by the Federal Reserve, and now our government has essentially prescribed a course of fiscal suicide from which the nation may never recover. What possible reason could anybody have for a positive outlook, in the market, or anywhere else? I don’t think you should panic, either in your immediate investments, or in anything else, but I would suggest you begin to prepare for worse possibilities as the economic tides begin to comply with the coercing, redistributive hand of Obamanomics. This is the time to think. This is the time to consider not merely what you are doing with your hard-earned wealth, while Obama considers how to steal it, but also please consider what you will do when the opportunity comes to replace him and his stubborn associates in the Congress, and throughout the extensive bureaucracy of the Federal government. Consider the same question on the State and local levels. Do not accept lies and half-measures from your local politicians and bureaucrats, either. It’s time to call them all to account, and while business as usual may be the order of the day in Washington, DC, there’s no reason you need to accept that. It’s clear that we’re running out of time to address these problems. Contrary to the promises of most politicians, there are no easy or pain-free solutions. No Utopia is possible on Earth. The problem is, when they talk about pain, it’s yours they have in mind. Barack Obama is a different character, however, in that whereas many other politicians feel no angst about your pain, his administration happily engages in creating it. Many will lend him the cover of alleged ‘good intentions,’ but the problem is that to believe that, you also must believe that he and his czars and secretaries and policy advisers are all equally ignorant, and all equally negligent. It is impossible to examine the history of the last century and suggest that any of this is accidental. The reason the road to hell is paved with [allegedly] good intentions is because they weren’t so good after all. Any economist, and I mean any, who tells you the path we’re on or the policies this government is undertaking are the correct ones, by any combination or rationalizations, reformulations, or other tinkering with economic theory are liars. Let me stress this: Any economist who professes to you that the Obama economic policy is anything other than destructive of you, your lives, and your wealth is not an economist but a propagandist. No supposedly learned person could make an error of such size or perfect incompetence. To believe this is to believe that workers on a GM assembly line could accidentally produce a car turned inside-out. This is to believe that a surgeon scheduled to repair your left knee could instead accidentally lop off your head. To be as completely wrong on so many things as has been the Obama economic crew, (and to a nearly equal degree, Bernanke at the Federal Reserve,) it would require a monstrous gift for the extraordinary roughly on par with with picking the winning numbers in consecutive lotteries. While not strictly impossible, the chances are infinitesimally small. It is possible, I suppose, that Obama isn’t listening to his economic team, and it’s possible they’re giving him slightly less awful advice than his policies suggest. Admittedly, this could account for some of the departures from that team, but if so, what does it say about our President and his allegedly ‘good intentions?’ I think you know. He has an abiding and thorough sense that he exists to exact some form of revenge on America. Whether it originates with the radical anti-colonialism of his communist father, or whether he’s merely the product of the Marxist slant of our educational institutions, it really doesn’t matter in the abstract. What matters is that you know that this isn’t a game for him, and that when he spouts about “fundamental transformation” to a crowd of his useful idiots, he means every rotten word. To defeat him, it’s going to require you to select and advocate a candidate who is equally committed, but in precisely the opposite direction. Your time for compromises is past. The country is now at stake. Whether the market rebounds a bit today, or continue their downward plunge, the simple truth is that you have had a glimpse of our future if we remain on this course. It’s entirely up to you to change that course, and we must begin now. We’re nearly out of time. simply EXCELLENT Mark!! I, too, was not surprised. We should all know – raising the debt does nothing but enable more of our and our children's money to be spent or given fraudulently to those who work against America and its people. The problem is the spending and, even more so, allowing this imposter to continue his work at the ruination of US. I am beginning to wonder – if we need to move the Iowa event and all other events to DC – and march on these crooks. I hope this analysis appears on C4P!! Clearly written! Unfortunately, with 60% to 70% of the health of the economy dependent upon continued consumption in the form of spending now firmly entrenched in the highest office of the land, all we can do to prepare for the inevitable is get out of debt to better weather the tsunami coming. Our nation has to stop thinking it is too big to fail in order to start over again.